6 yards, no blouse piece. 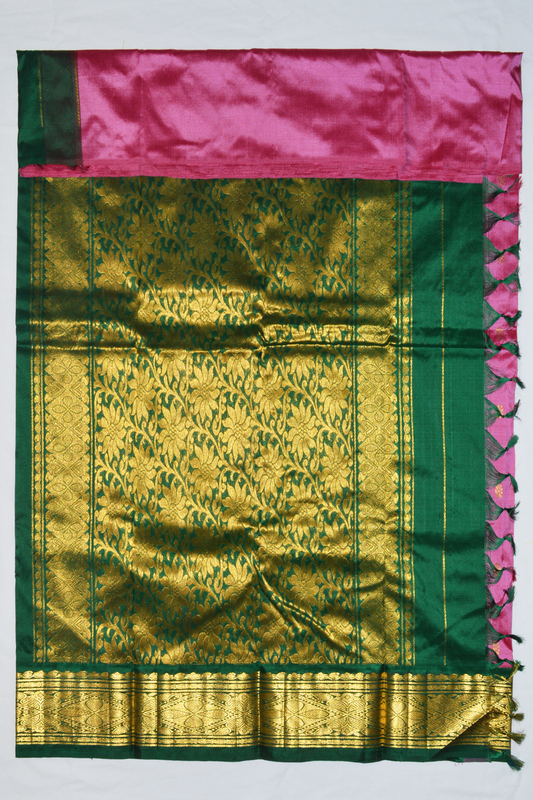 Temple Saree. 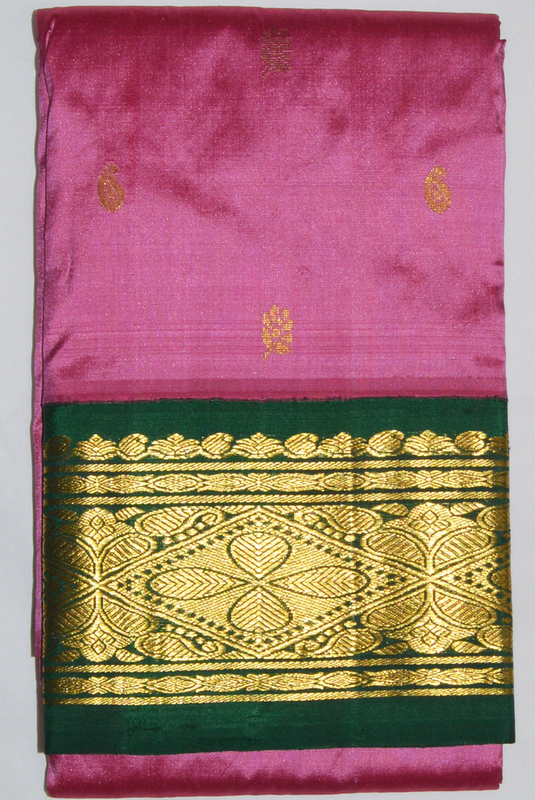 Pink color body, green color border and Pallu woven with Zari.